West University Apartments for Rent — There are definitely tons of fantastic West University apartments for lease. 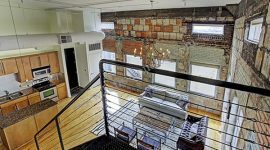 The only significant challenge on your end is to consider the vast array of West U apartments (which most certainly includes apartments in Rice Village), and settle on something you know you’re going to love. Considering the neighborhood you are planning to move to, and factoring in the exceptional apartment buildings in West University, this is something that is easier said than done! Hanover Southampton is just one example of what you can discover in this area. Allusion is another extraordinary possibility. A lot of people will tell you that Hanover West University offers the best West University apartments for lease in the neighborhood. Other people will swear by Allusion, while still others will tell you Hanover Southampton offers the most dazzling West U apartments to be found anywhere. And then you’ve got people who believe Warwick Tower or Lamar Tower have everything someone looking for apartments in Rice Village might need. In the end, you’re going to have to explore these buildings for yourself, as well as the neighborhood itself. West University features brand new luxury one and two-bedroom apartment homes for rent in the West University neighborhood of Houston, TX. West University puts you close to Downtown Houston. You’re also going to like the way living here puts you reasonably close to places like Texas Medical Center, the Galleria, and other neighborhoods. West University offers plenty on its own, in terms of nightspots, restaurants, bars, parks, museums, shopping spots, and everything else you could want from a buzzing urban sprawl. 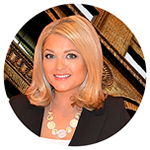 At the same time, you’re also going to have easy access to some of those surrounding neighborhoods and regions. Simply put, whether you’re a student, someone with a small family, a newlywed, a young professional, or just about anyone else, you can find something in the way of apartments in Rice Village to appeal to you. The Greenway Plaza can also be found in this area. West University if also notable for offering some of the best public schools in the area. When you consider the Inner Loop region as a whole, you’ll realize that’s definitely saying something. While hunting down West University apartments for lease, make sure you make some time for Colonial Park, Wier Park, The Breakfast Klub, Hobbit Café, the Baker St. Pub and Grill, Rice Village, and the Central Market. All of these things to do in West University should give you a nice indication of what you can expect from the area as a whole. You’ll also want to note that Houston handles its public transportation extremely well, and this is certainly a thought that can be applied to West University. Hanover Southampton should definitely be one of your first stops, in terms of West U apartments. This dazzling high-rise offers a range of floor plans, with the main consistency amongst all of them being that you’re not going to be lacking in space, comfort, or features. Some of the best things about this particular building includes panoramic city views, a massive rooftop lounge, catering kitchens, landscape gardens, conference rooms, theaters, fitness clubs, pet-friendly options, and easy walking access to some of the finest restaurants and more in the neighborhood. You will want to note that this is a no-smoking community. 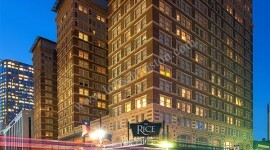 Allusion is another wonderful opportunity to seek out West University apartments for lease. Floor plans can range from a little over six hundred square feet, to something in the vicinity of twelve or thirteen hundred square feet. 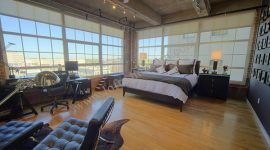 A number of different bedroom/bathroom options are available, but you’re going to love the kitchens, spacious bathrooms, and high ceilings that can be found across just about every loft unit available at this building. Additional features and amenities with Allusion includes hardwood cabinetry, pet-friendly options, courtyard pools, wood plank floors, granite kitchen countertops, athletic clubs, yoga/spin rooms, and much more. As you are considering all of the features associated with these apartments in Rice Village, keep in mind as well that this building puts you right at the heart of the Inner Loop area. At this point, this benefits of that kind of location should be pretty clear to you. Hanover West University is another option in the way of West U apartments that’s worth a serious look. Beyond the fact that its address gives you premium access to the best offerings of the neighborhood, you’re going to be blown away by the features and amenities, many of which are wholly unique to this specific building. 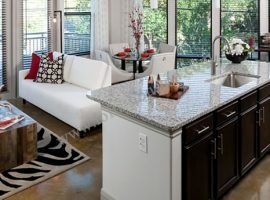 Breakfast bars, frameless cabinets, the best stainless steel appliances currently available, track lighting, massive ceilings, and granite countertops are just a few of the features you can enjoy across the various apartments and floor plans available here. In terms of deluxe amenities, enjoy the fitness center, the resort-quality pools, the on-site theater, or the extremely impressive business conference centers. You’re really going to get it all here.